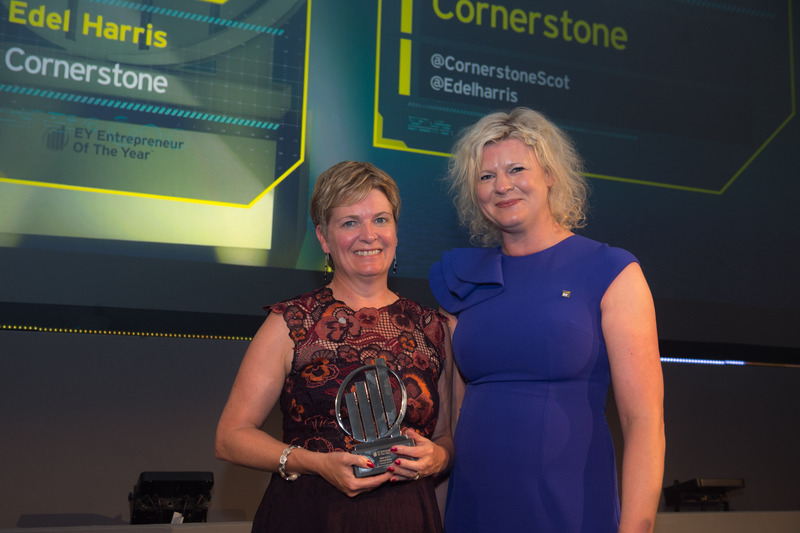 Edel Harris was named EY Entrepreneur Of The Year overall Scotland winner – the first woman to claim the title – as well as taking home the Building a Better Working World award. In the nine years Edel has been at Cornerstone she and her team have delivered business growth of £10million, diversified into new care markets and delivered an ambitious capital plan to create new homes for people with disabilities and autism. Cornerstone’s most recent transformational strategic plan, designed to embrace the challenges and opportunities presented by the ageing population, was recognised as having the potential to transform the social care sector in Scotland. Edel said: “I am overwhelmed to have won such a prestigious award and I am delighted that the hard work of everyone at Cornerstone has been recognised on such a grand stage. Awards like this should never be about one individual because without such a fantastic team of colleagues none of this would be possible. There was tough competition for Edel who was up against eighteen other successful and accomplished entrepreneurs based in Scotland. As overall winner she goes forward to the EY Entrepreneur Of The Year 2017 UK final to be hosted in London in October. Founded in 1980 in Aberdeen, Cornerstone has grown to support more than 2,200 adults, young people and children across 18 local authority areas in Scotland including people with learning disabilities, physical disabilities, autism, Dementia, and mental health problems.